For anyone coming from a home with a sewing fanatic, the singer is then no new name to your ears. The singer has been around for over 100 years in America. The singer sewing brand has never failed and continues to churn out new and better products. This round it’s the singer professional 9100 computerized sewing machine. The singer 9100 given its computerized specifications it is widely appealing to the majority. The singer can be used by beginners trying to learn the trade. Their use is eased by the LED screen for which one can keep a check on the functionality of the machine. Semi-pros and pros who can fancy the easy change in the needle position of the machine. For a very long period, the task of threading has always been a tedious affair. The singer 9100 computerized is able to solve this problem for the user. 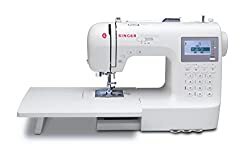 The singer thus comes in with an automatic threading system that reduces the tedious and strenuous work of threading. The LCD touchscreen as a command center for the machine. This is the place for which you could adjust the various setting for the machine. 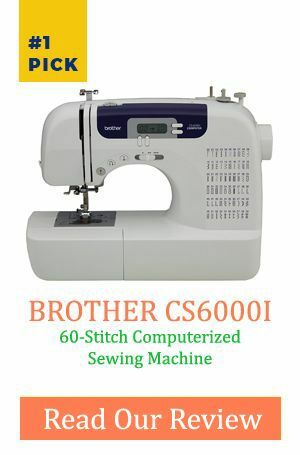 It has the capability of switching and selecting the type of stitch to be used. The screen also provides the necessary lighting required while stitching. For those people trying to upgrade their skill, this machine might just be the option they are looking for. The machine comes with an extension cable that one can use to lay down the project instead of keeping fumbling on over and over. The extension table comes in very handy when trying to sew things such as gowns. One feature that makes the machine even more outstanding would be its adjustable needle. One could easily adjust the needle for it to go far up as it can. This move helps to change the fabric easily. Or set the needle really down low to assist in quilting. This feature helps the user to customize his/her project. The machine features a two lettering alphanumeric system that you can easily program to give the project a personal touch. In the case of gifting this gesture is usually highly appreciated. VI. The singer 9100 comes in with built-in stitches. The computerized singer comes in with a record 404 stitches .the stitches vary in functionality and use. The stitches vary from basic sewing .decorative sewing and a lot more purposes. The singer has a reverse touch button. Heavy duty metal frame that provides for less wear and tear thus longer use. The singer comes with a speed control mechanism. The machine has a start and stops button that allows for a footrest. Programmable needle up and down position. An LCD screen for general machine control and proper lighting. Extendable table to provide for more working space. The singer is not made for travel and can become quite cumbersome to carry along. There is the mentioning of an irritable sound when making a change in needle position. Cotton build up between cracks and crevices hinders general performance. Q. Why does my sewing machine run heavily? A. A machine might run heavily due two main reasons. One it might be that there is debris and dirt build up on the running part of the machine thus causing it to slow. Or two the running parts are not well oiled thus making the machine slump a bit on performance. Q. What is sewing machine oil? Q. 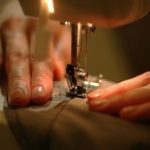 What is sewing stabilizer? A. A stabilizer is an object used to hold the object you are sewing. The singer professional 9100 is one machine that I would recommend for every beginner. Reason being the singer 9100 comes with many computerized properties that make the device easily manageable. Having the singer and its inbuilt computerized alphanumeric sequence help add a personal touch to every piece of fabric.